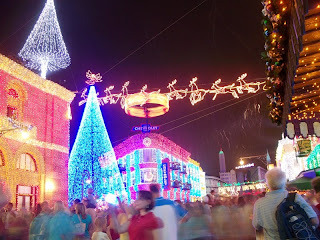 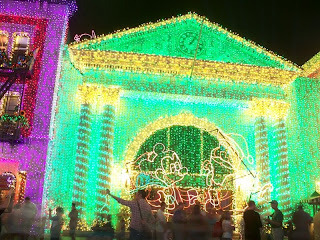 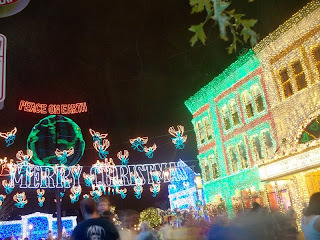 Last week the Osborne Family Spectacle of Dancing Lights once again began filling hearts to the brim with holiday spirit. 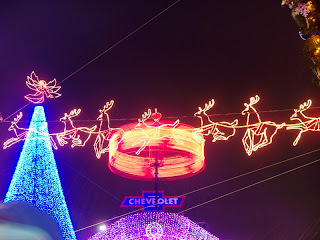 This year, in addition to the lights and the refracting glasses (available for one dollar a piece), banners also sprung up along the Streets of America relating interesting trivia and history of the lights. 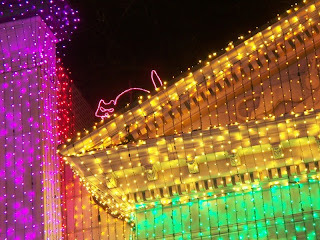 The curious piece of information found in the banners, at least to this reporter, is the mention of the area as Tri-City Square, in addition to the aforementioned Streets of America. 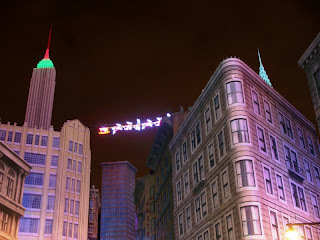 Is this a hint at the possible renaming of the streets? 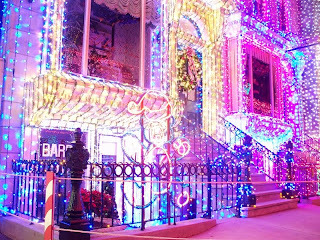 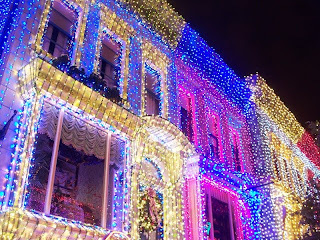 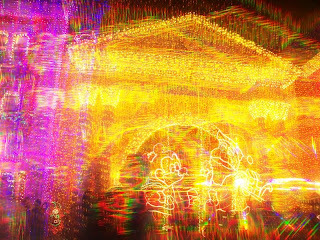 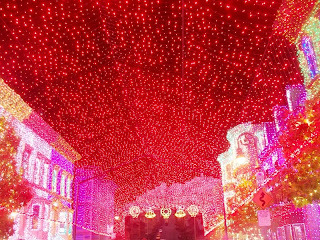 Below is the information from the banners, provided by the Osborne Family Spectacle of Dancing Lights Historical Society, along with several photographs of the lights, some with the special glasses and some without. 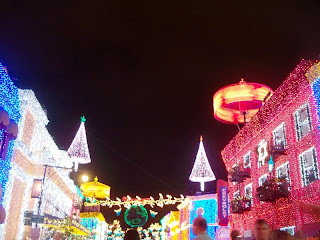 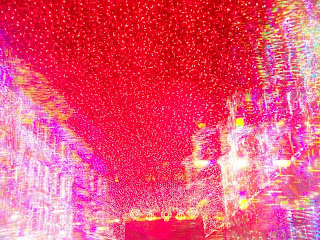 It has been years since I've seen this - I will have to try and conincide a trip so I can get to see the Dancing Lights again... 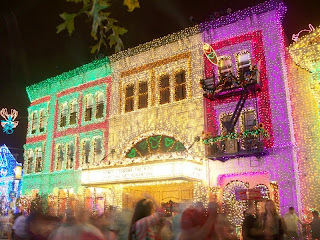 Thank you, Ryan, for making us feel like we're there!